Happy Mother’s Day to all the Mums out there! Tonight, I have the honour of preparing the Mother’s Day dessert for a dinner party with my extended family. After much thought, I have decided to make a rich chocolate tart to serve with raspberry sorbet. This raspberry sorbet recipe is one of the first I ever used when cooking by myself. In the school holidays, my sister and I would each cook one thing out of the Australian Women’s Weekly cookbooks we purchased in 2007. Mine would be from “Good Food: Desserts” (surprise, surprise) and Laura’s from “Potatoes”. As you can tell, it certainly wasn’t the most nutritious meal! But it was a lot of fun and helped Laura and I get into cooking. Stir the water & sugar in a small saucepan over a medium heat, without boiling, until the sugar dissolves. Bring to the boil. Reduce the heat & simmer, uncovered, without stirring for 5 minutes. 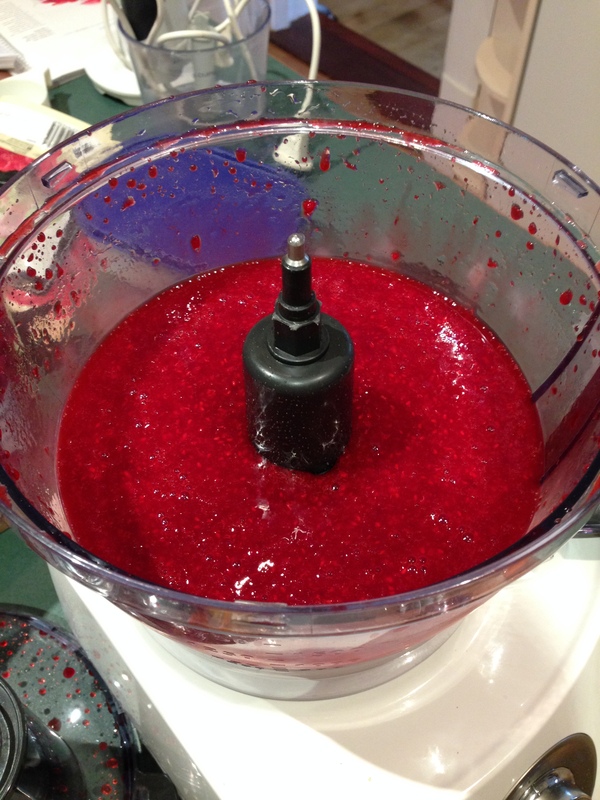 Blend the raspberries, lemon juice & sugar syrup in a blender until smooth. 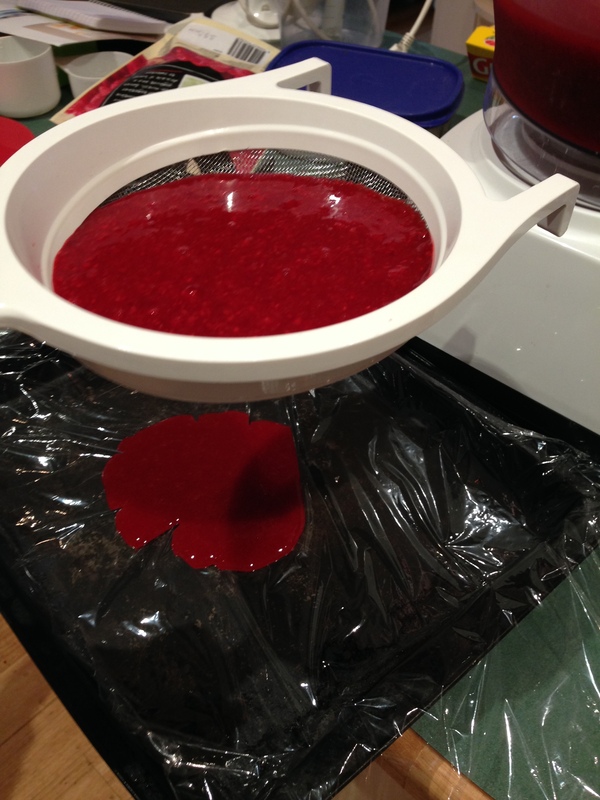 Push mixture through a fine sieve into a 20cm x 30cm lamington pan (or 2 smaller pans) lined with clingfilm. Discard seeds. 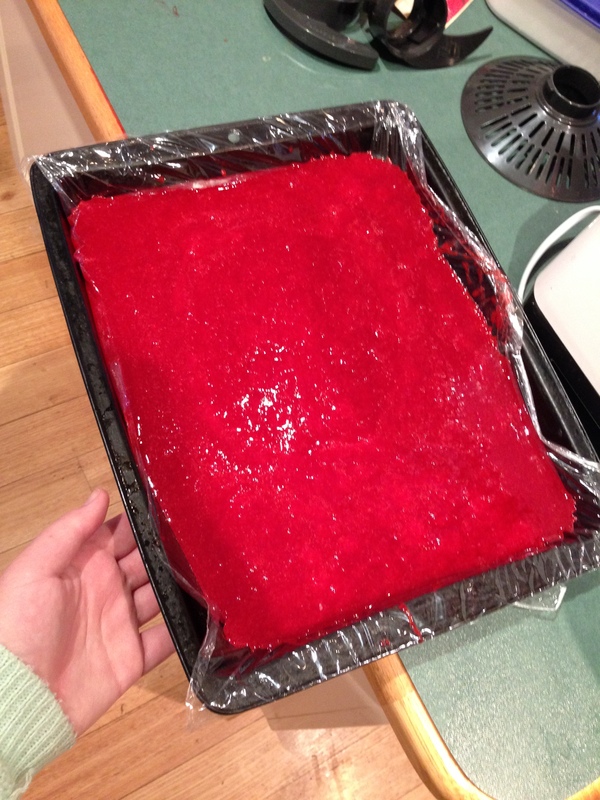 Cover with foil; freeze until firm. Coarsely chop the frozen berry mixture and add it to the blender with the egg whites. Blend until smoother and paler in colour. Return mixture to the pan, cover & freeze until firm.